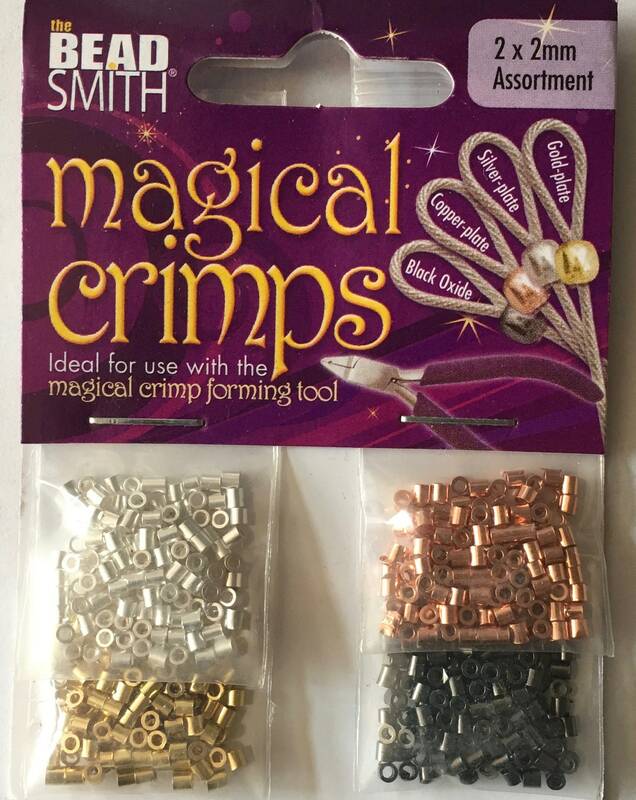 Assortment of crimp tubes suitable for regular crimp pliers or perfect for the Magical Crimp pliers. 125 of each color - silver plated, gold plated, copper plated and black oxide. Total of 500 pcs.